Is there a better place to get into the Christmas spirit than in the Amana Colonies? The first weekend in December I visited this historic site and one of my favorite stops was the the Festhalle barn. This barn that once housed livestock now is rented out for weddings and events. 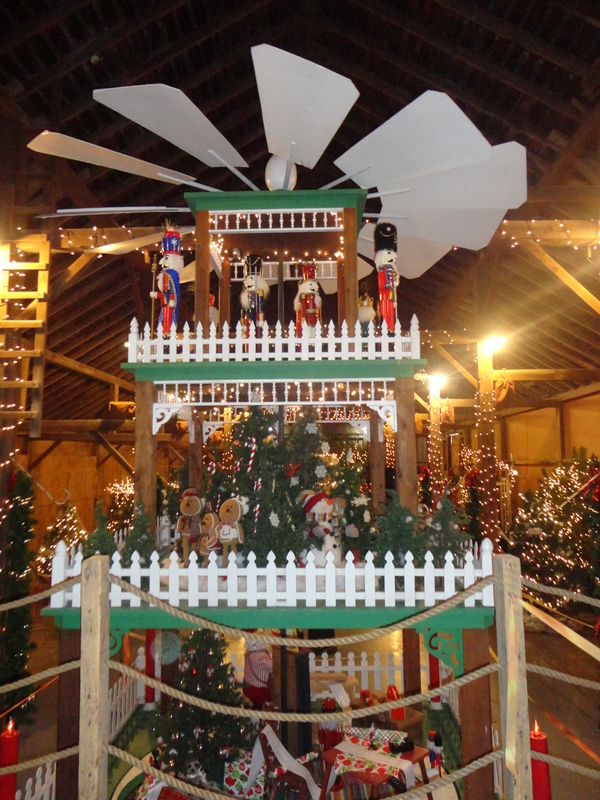 The barn was fille with Christmas trees providing what they call “the Tannenbaum Forest of trees” along with the impressive seventeen-foot German-style Christmas Weihnacht Pyramid tree that stands stories hall. Proceeds from this event benefit the 2012 Make-A-Wish child, Shalisa. The Festhalle barn is open until Decemer 16th for anyone in the Amana area. The shops and historic sites offer great Christmas shopping ideas and there is no better way to end the evening than a stop at one of the family style resaurants for some down home cooking.